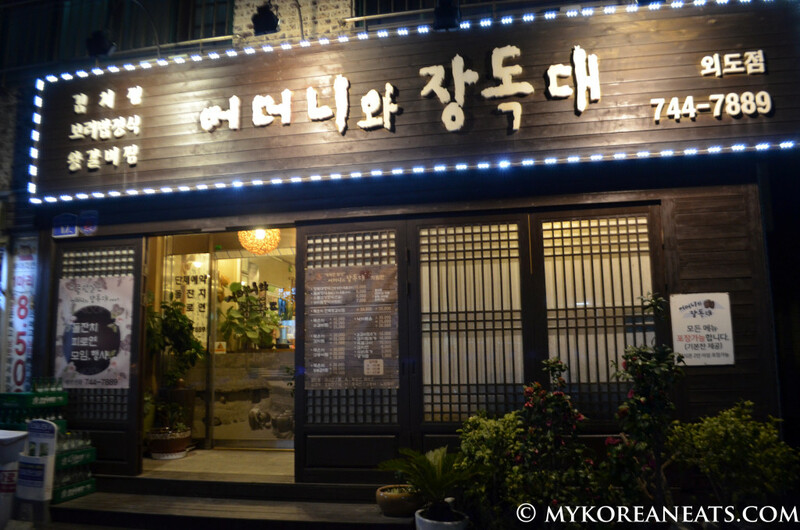 For those living in Jeju City, rest assured, the main branch (since 2005) is located in Yeon-dong with a few more scattered around the city. 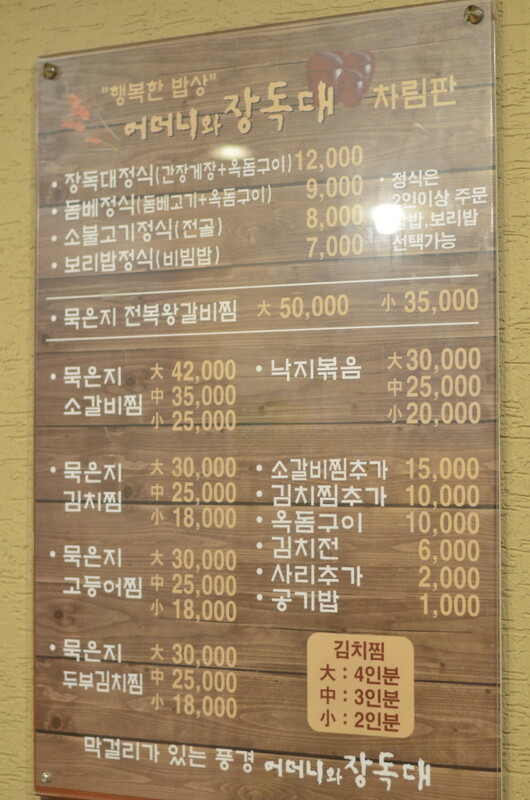 Seogwipo City is represented as well! 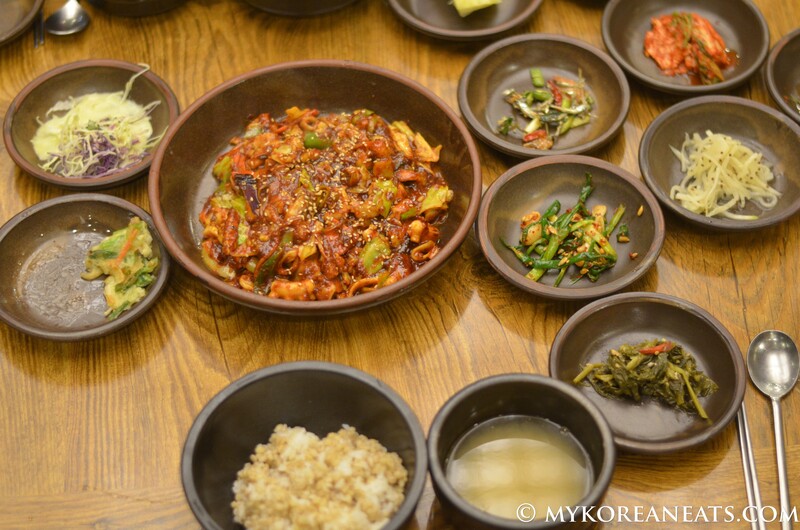 Although I wouldn’t recommend this Jangdokdae Jeongsik, here’s a picture to satisfy your curiosity. 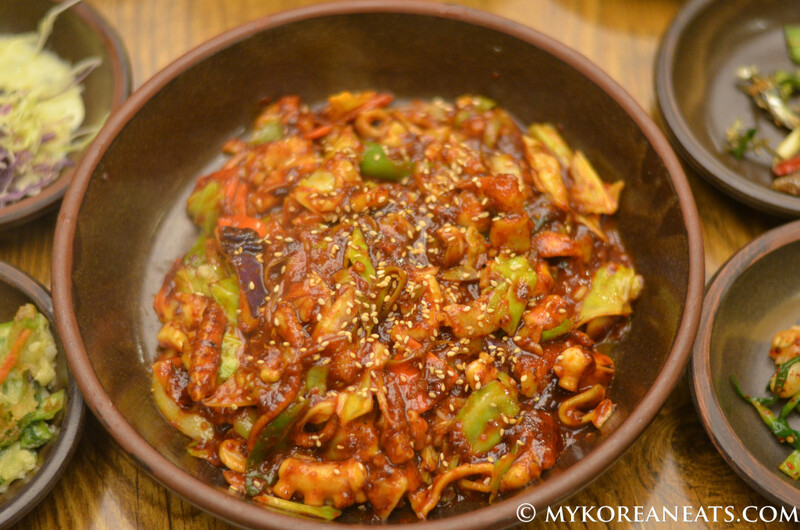 Now for the winning meal: Nakji Bokkeum (Spicy Stir-Fried Octopus). 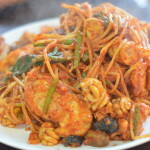 Look at that glorious plate of octopus and vegetables and somyeon noodles (hiding under the bottom) in a fiery hot, water-won’t-help-you sauce. 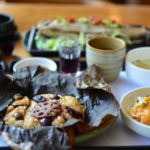 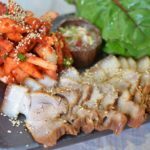 The nakji bokkeum spread. 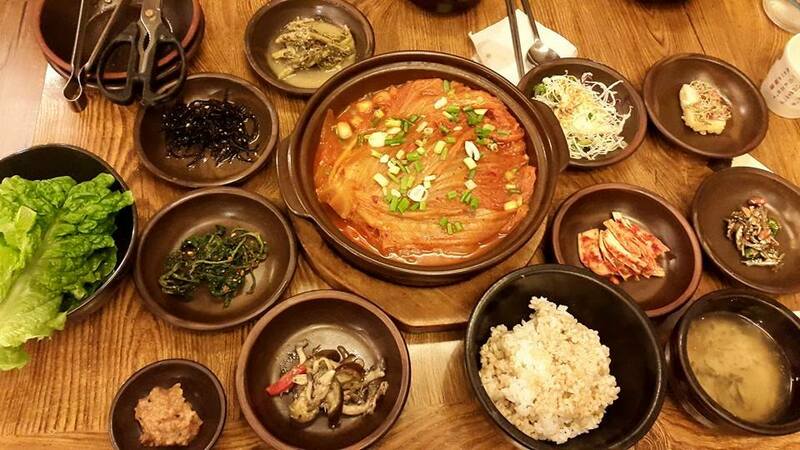 Someone was a little too hungry (missing jeon piece on the left) before I could capture the moment. 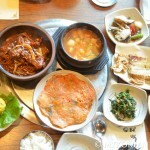 Barley rice combination and dwenjang (soybean) soup. 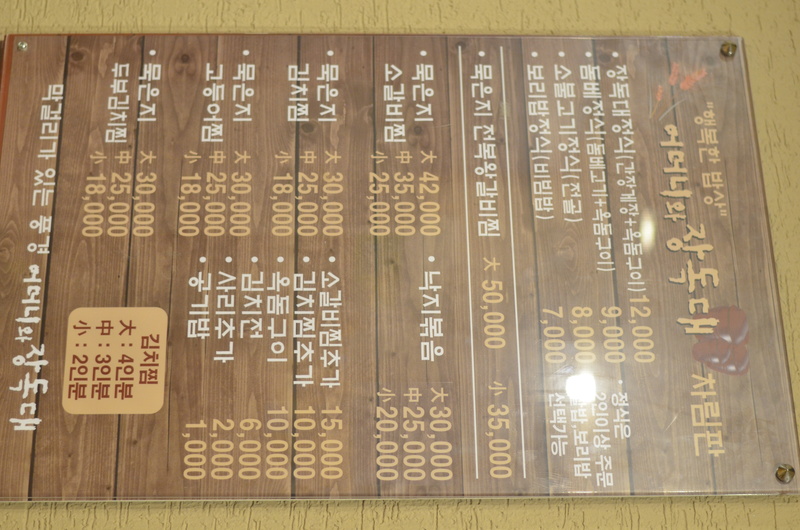 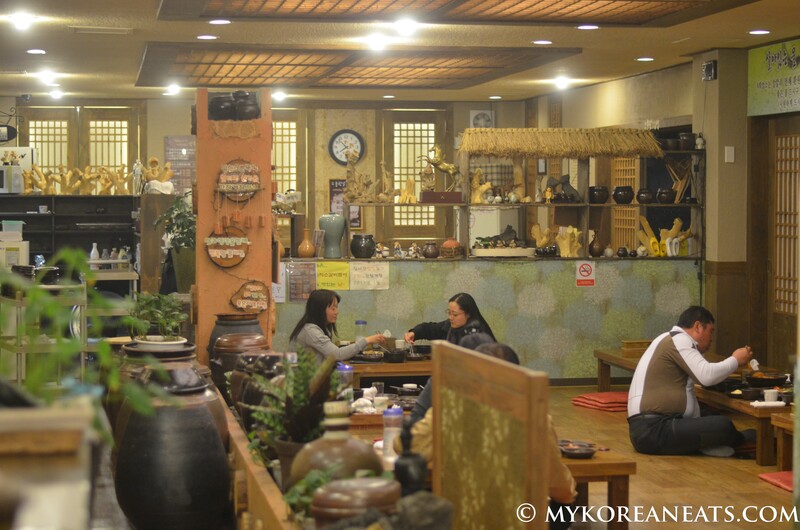 As the name implies, there were plenty of onggi (earthenware pots) to make a collection of jangdokdae in the restaurant. 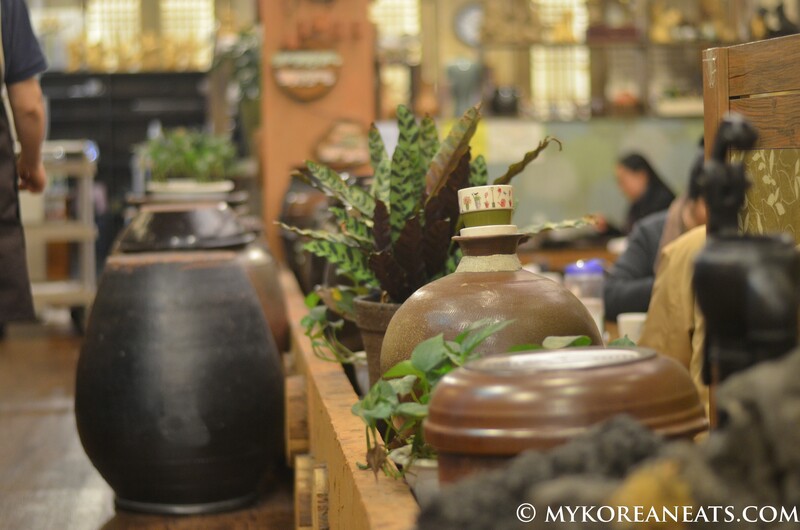 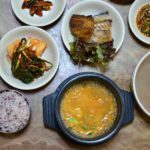 Korean onngi have been around for thousands of years, helping in the fermentation process for such condiments like gochujang (fermented red chili pepper), doenjang (fermented bean paste), soy sauce, and kimchi varieties.